Hey there! It’s Caitlyn here, although I go by Cait at Bloom. I’ve been volunteering at Bloom for the past 7 months and needless to say, it’s been such an amazing experience where I’ve been able to connect with passionate entrepreneurs and students. Since high school I’ve been heavily involved in volunteering and have an interest in business, especially in social enterprises.  The ability to conduct business and make a profit, at the same time as helping the less fortunate and vulnerable is inspiring to me and that’s why I joined Bloom. One of the things I love about Bloom is being able to try many different things I have an interest in. In the first semester, I worked closely with the development team. In this role I helped budding entrepreneurs to build up their potential ideas by developing their business models through a series of workshops. These workshops included topics such as developing an MVP (minimum viable product), marketing channels, market validation and of course, the lean canvas. Even though it was a good experience, I’ve recently moved into the marketing team for Semester 2 and focusing more on engaging with young people through promoting Bloom on various social media channels. 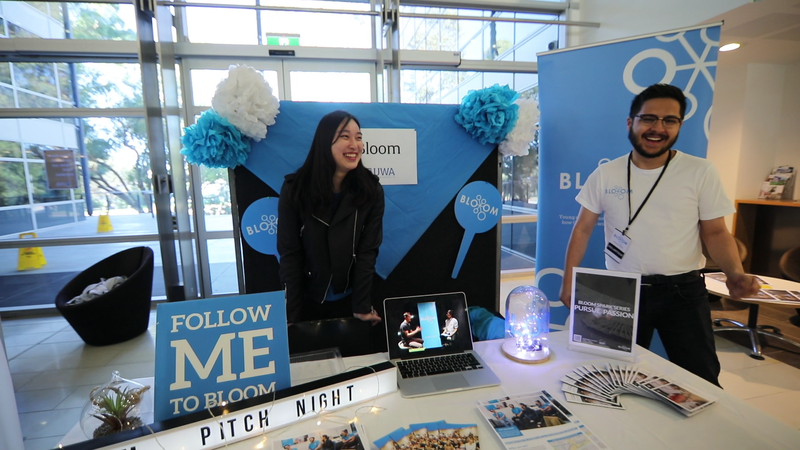 In particular though, I’ve been focusing on growing Bloom’s LinkedIn presence and sharing the great work that Bloom’s entrepreneurs have been up to and our events. Personally, the passion and ambition of young entrepreneurs in the space has been a huge inspiration to me. Lucky for me, getting involved with Bloom this year has given me the chance to meet more young entrepreneurs, and the amazing stories behind them and their businesses. All the more, I think that Bloom creating opportunities for students and young people to get involved in entrepreneurship and experiment with unique ideas is very important. Believing that young people are very capable of creating positive impact in the community through entrepreneurship, and supporting their dreams is a crucial step in creating a more positive future. "Believing that young people are very capable of creating positive impact in the community through entrepreneurship, and supporting their dreams is a crucial step in creating a more positive future." One of the most memorable events that I helped at was at our Bloom stall on UWA open day. On the day, I was fortunate enough to be able to connect with people from all sorts of backgrounds from enthusiastic Year 12’s to passionate postgraduate students, and of course, the occasional curious parents. It was humbling to be able to listen to their hopes and fears for their future careers and even hear them pitch their business ideas. Listening to their stories made me realise the importance of Bloom on playing a part in leading young people in shaping their own future, in life and in business. 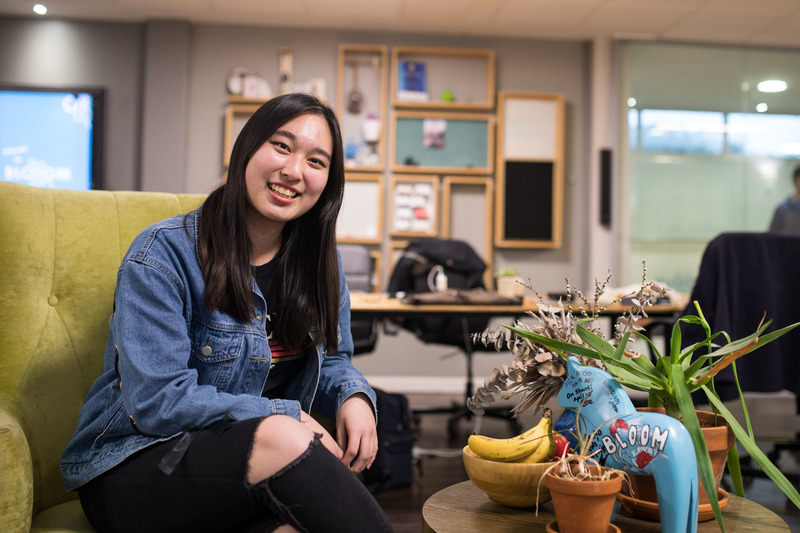 As a representative of Bloom, I’m glad I was able to share the amazing opportunities Bloom provides to help young people build critical skills and to connect with other passionate individuals within the Bloom community. From the numerous business development and ideation workshops, monthly Pitch Nights and co-working space based out of St Cat’s, many of the people I spoke to were surprised at the amount of opportunities Bloom provides. Apart from the touching conversations, I was very proud that our Bloom stall was easily the best out of all the surrounding stalls! For those of you who weren’t there, Bloom’s stalls were hard to miss! Decked out in blue, blue and more blue, with free donuts and flyers ready to be given out, it’s safe to say we stole the show at Business School! We won the self-proclaimed and unofficial "Best UWAOpen Day Stall" award! Currently, I work part-time at a mid-tier accounting firm and it’s been such a rewarding but challenging experience working as an auditor. I feel that this has allowed me to gain insightful knowledge into the business world and given me valuable skills. In the future though, I hope that with my experience from Bloom and working as an auditor will equip me to start up my own social enterprise. At Bloom, we work to empower young people through entrepreneurship to engage in meaningful work in a supportive community. Since 2013, we've helped hundreds of young people find their drive and pursue a rewarding career through entrepreneurship. Bloom Curtin Ideation Workshop with the Founder of Petz Allowed! Andrew Forrest says "There is no problem we can't solve"
Young entrepreneurs are rapidly changing how our world works.